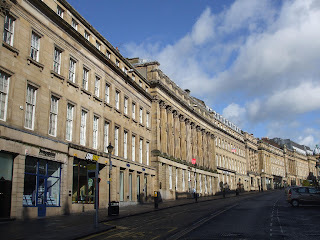 Grey Street is renowned for its Georgian architecture by John Dobson, and was in 2002 voted 'Best street in the UK' by BBC Radio 4 listeners. 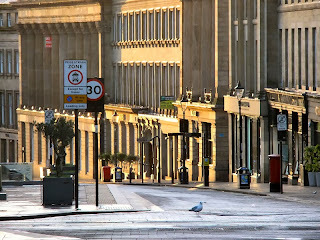 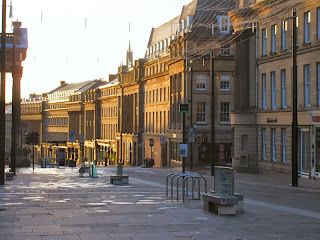 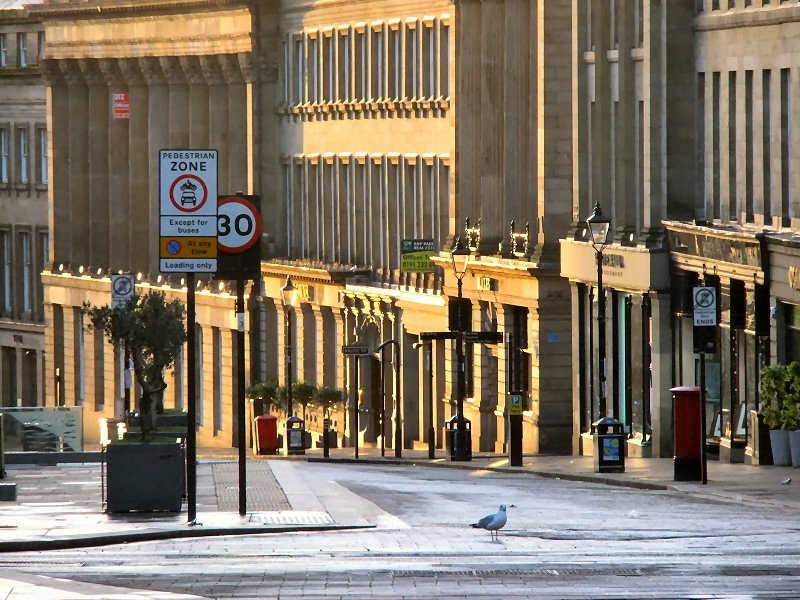 As for the curve of Grey Street, I shall never forget seeing it to perfection, traffic-less on a misty Sunday morning. Not even Regent Street, even old Regent Street London, can compare with that descending subtle curve. 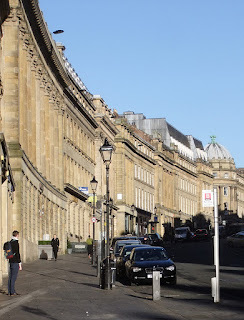 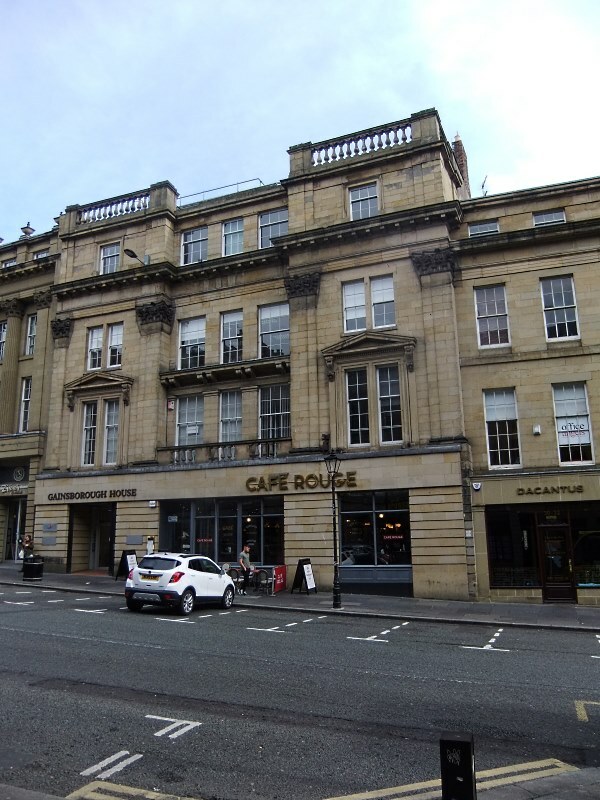 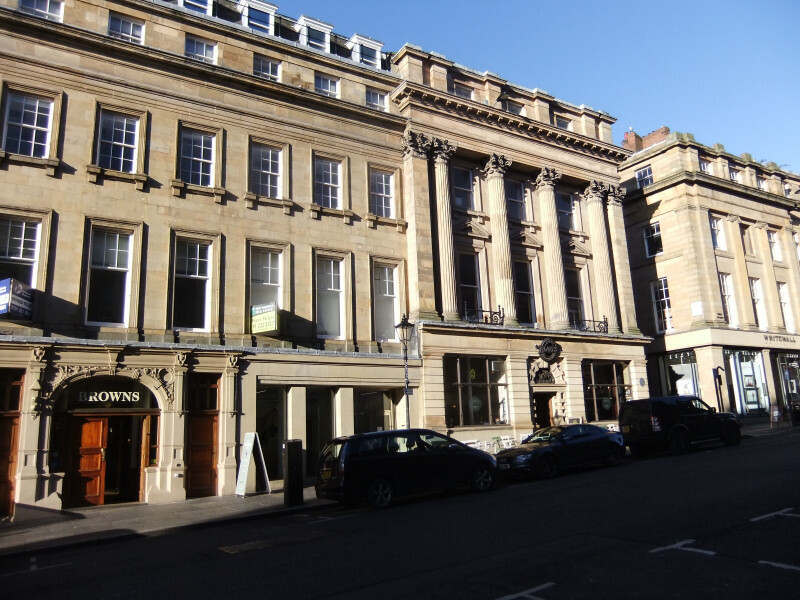 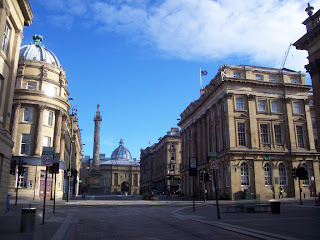 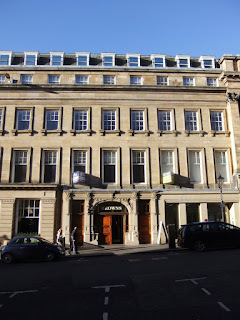 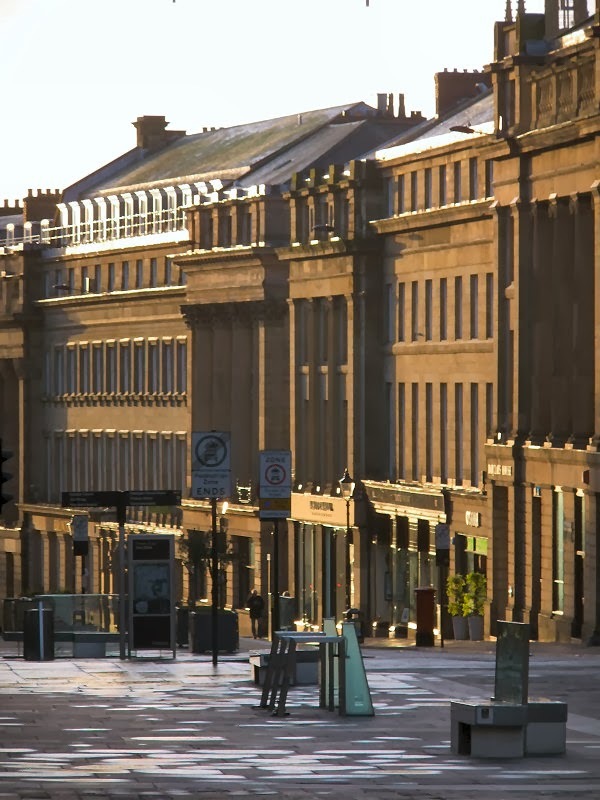 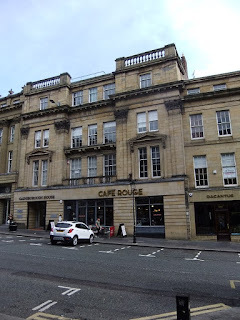 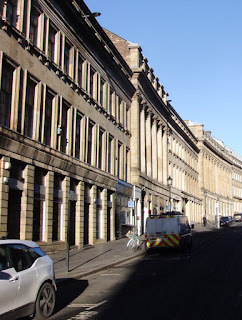 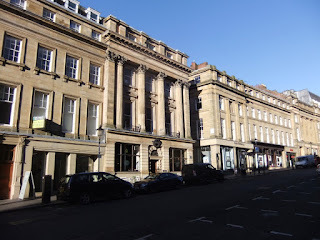 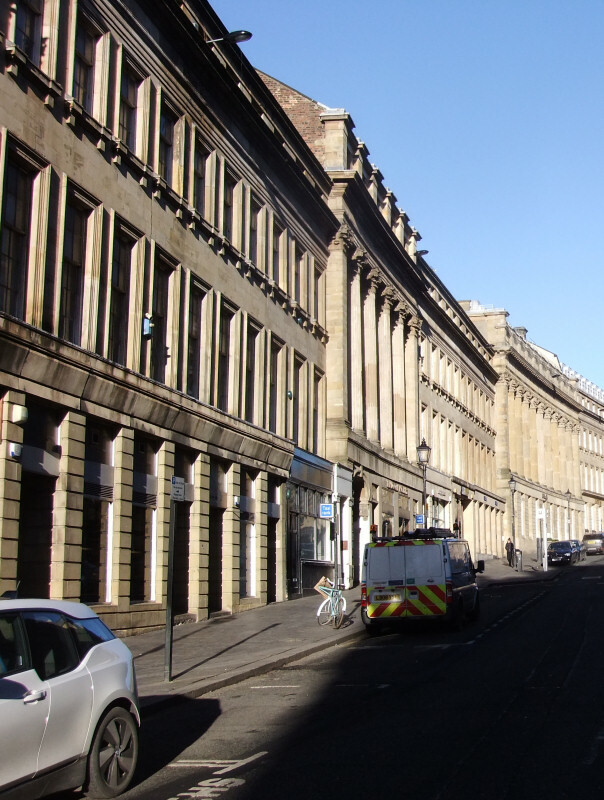 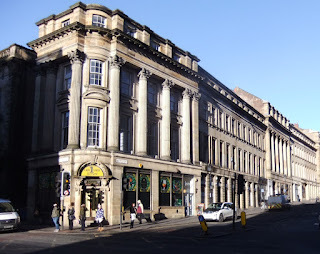 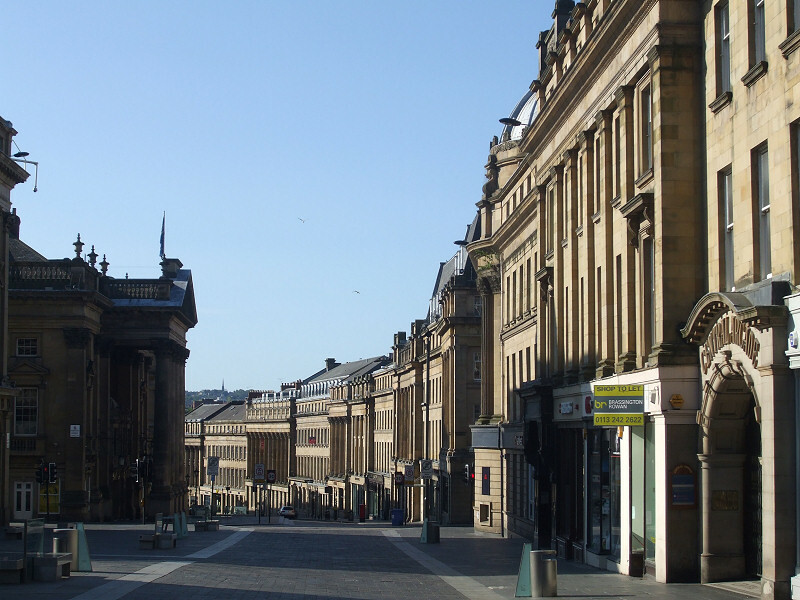 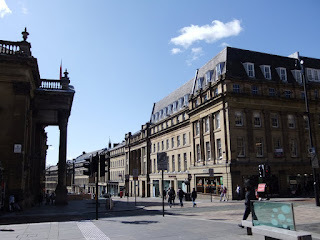 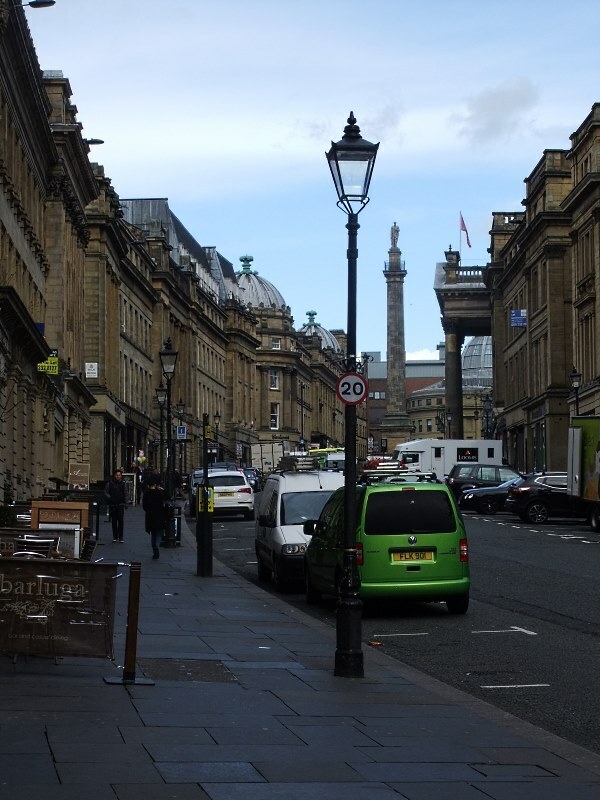 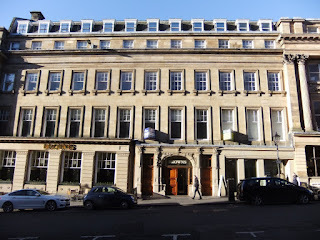 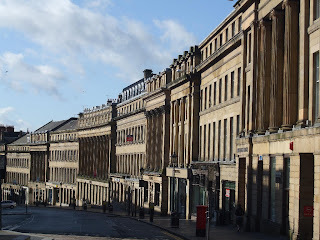 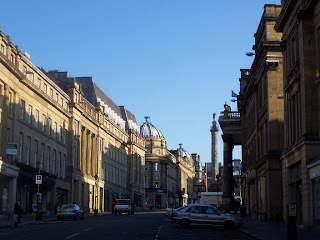 The street runs South from Grey's Monument; after the junction with Mosley Street it continues as Dean Street. 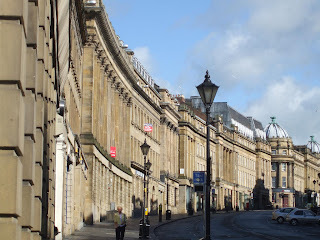 Like Dean Street it follows the route of the Lorke or Lort Burn, which formerly flowed into the Tyne but is now underground, and so curves slowly to the East as well as descending towards the river. 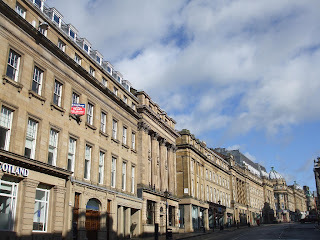 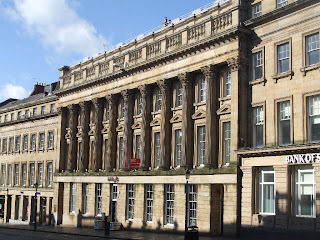 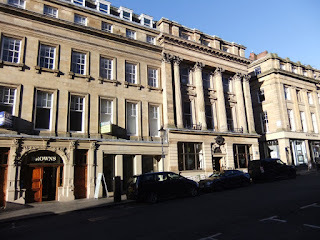 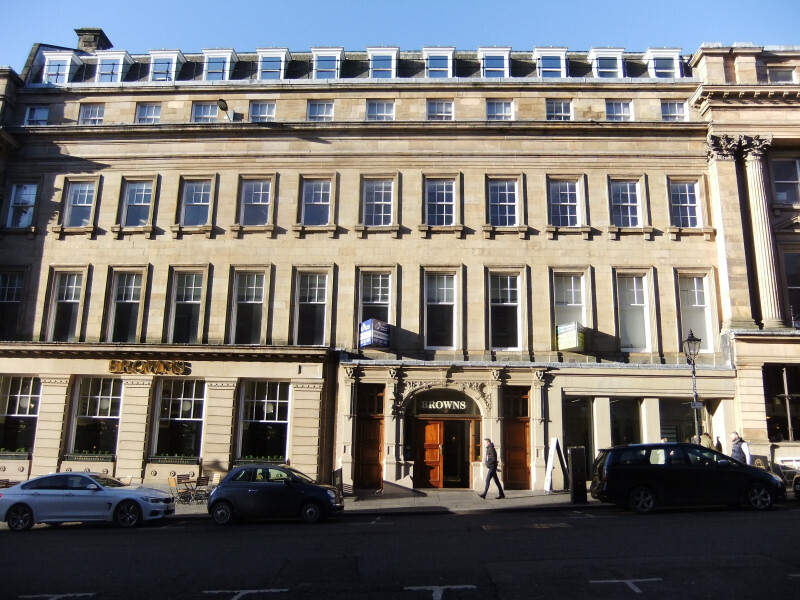 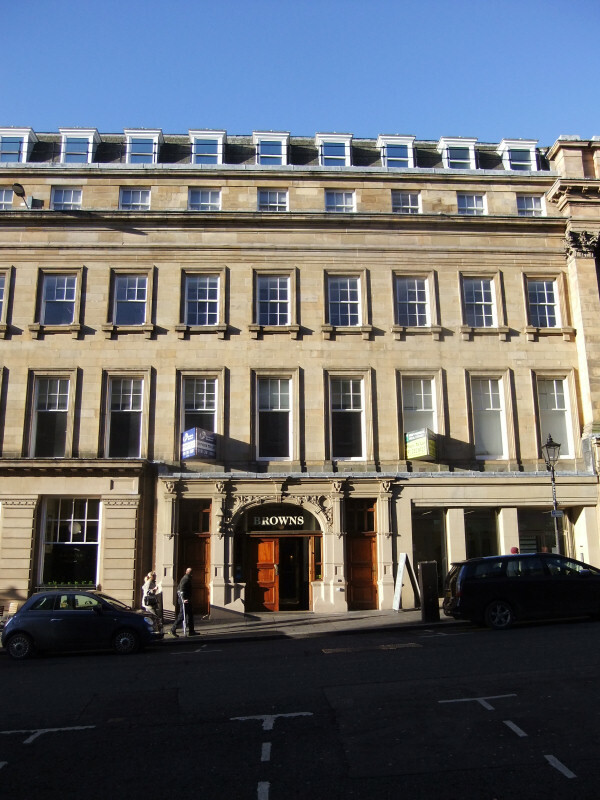 Grey Street was built by John Dobson and Richard Grainger in the 1830s; Dean Street had been constructed earlier, in 1749. 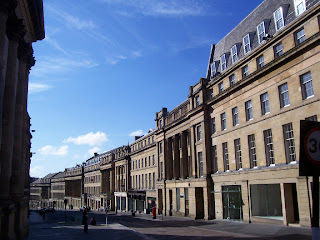 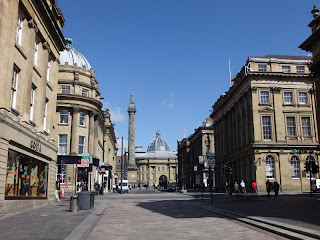 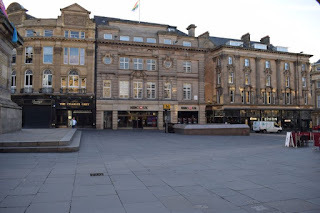 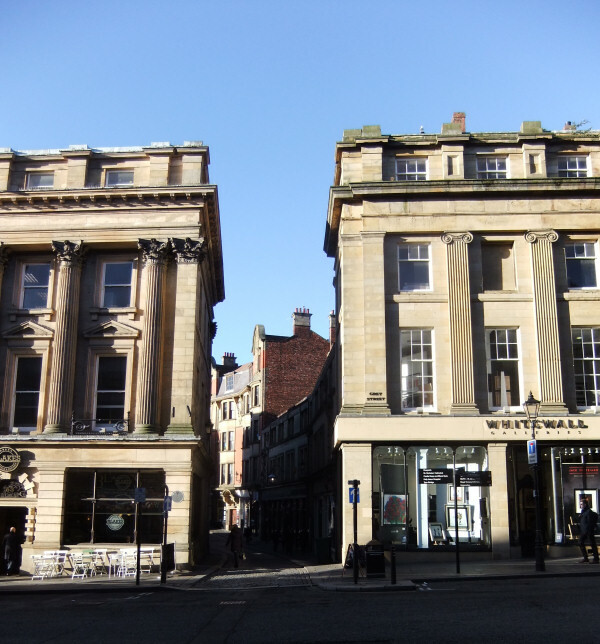 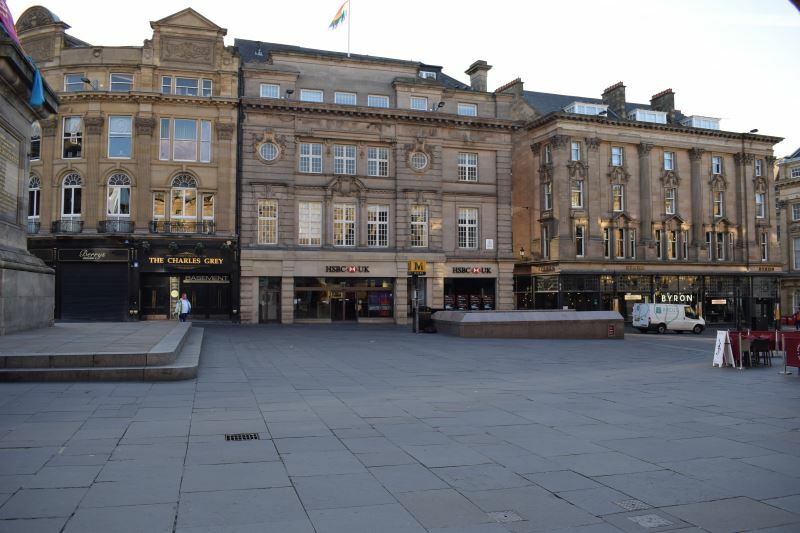 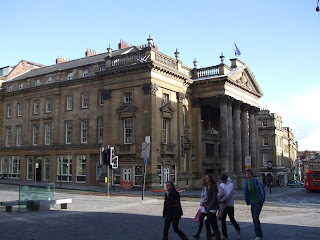 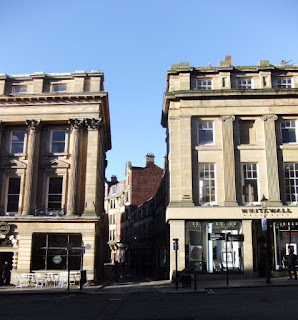 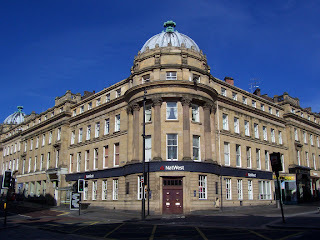 Grey Street houses the Theatre Royal and entrances to Monument Metro station and the Central Arcade. 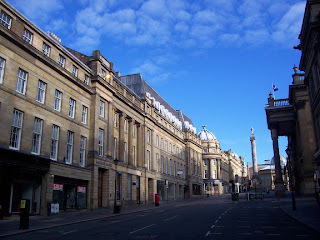 Landscape photo of the Theatre Royal. 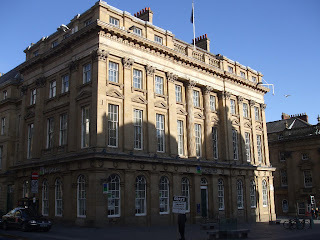 Portrait photo of Lloyds Bank.